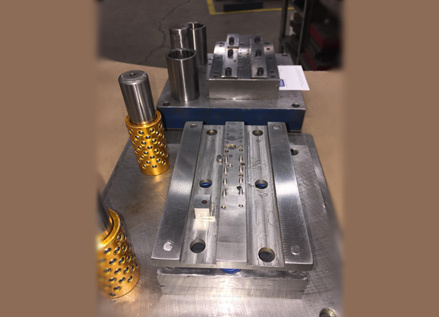 Our unique custom tooling helps control costs by utilizing short run tooling methods. 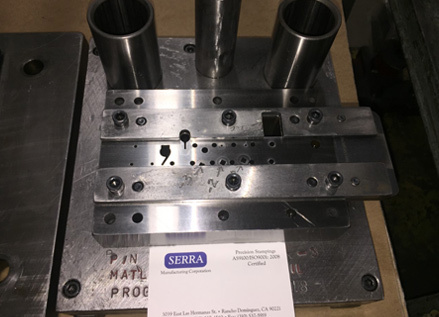 Serra Manufacturing has invested in 5 CNC machines and utilizes the Kaizen philosophy to offer unique production line methods, which allow each toolmaker to act as an expert of their own operation. Consequently, our toolmakers increase their productivity and accuracy on the tools produced. 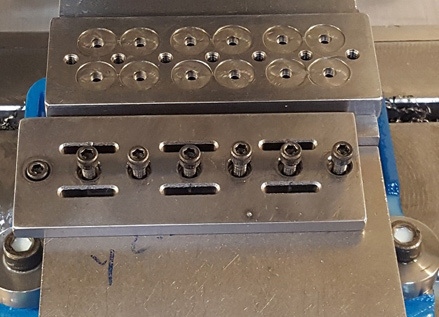 We are able to reach tight tolerances using these computer assisted equipment and apply all of our metal working capabilities to produce custom made products. CNC Milling has a number of advantages over other manufacturing processes that make it a favorable choice for many applications. Aside from being efficient in terms of both time and money it is very flexible in terms of production. We have the ability to handle complicated shapes in many materials with consistent quality. In addition, the ability to produce with smooth finishes and high detail makes this manufacturing process all the more appealing for a variety of demands. There are many advantages to using CNC Turning & CNC Lathe machining as opposed to other manufacturing processes that make it a good choice for a variety of different applications. As with other CNC Machining processes, CNC Turning is capable of high consistency, detail and efficiency. In addition to this, CNC Turning has the added benefits of exceptional symmetry. 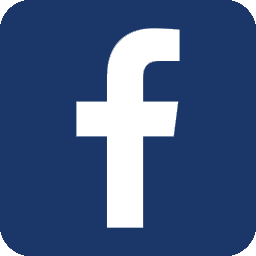 Thus, making it a logical choice for applications that require a high degree of evenness.